All right, kids. Grab a cookie and sit down. We’re going to have a frank chat about the Birds and the Beans. I know this isn’t the most “comfortable” subject in the world and some of you (not naming names) can’t help giggling and chuckling when it is mentioned. But if you are going to eat less animal protein, make more of your food from scratch and avoid canned, pre-packaged products, it’s time you were armed with the FACTS. Don’t wait until you find yourself in an unwanted situation that is too late to do anything about. Protect yourself! Don’t end up like this: There you are at work, at school or at a party innocently sitting next to someone you’d like to charm or impress, and suddenly you become the trumpeter of a dreaded intestinal melody—the gaseous vibration that sounds its ugly notes like a public broadcast system alert—the gut-wrenching musical solo that brings infamy instead of fame! Or worse, you’ve released the silent human breeze that wafts through the room bringing an odor so deadly—so ghastly (I heard that guffaw! )—that you at once find yourself alone. How do you avoid this age-old dilemma? With minerals, that’s how! You see, there are proteins, carbs and fats densely packed into those dynamic dried legumes. And the best way to ensure beans can be easily broken down in digestion is to balance them by cooking with a rich multi-mineral sea vegetable called kombu. Kombu is a sea vegetable that grows wild in cold waters and is sold dried. There are several types of kombu, such as wild harvested varieties sold by Eden Foods, Maine Coast Sea Vegetables, Emerald Cove and other reputable organic food companies. These kombus also have certain salts in them that add a great deal of flavor to foods cooked with them. Cheaper brands often have MSG and/or they are harvested from kelp that is already washed ashore—so not as good. These are aduki (sometimes spelled azuki) beans. They are soaking in spring water with kombu. Buy organic dried beans, pick through them removing any little stones or soil, and wash them in cold water. Nothing worse than biting into a little rock or sand! Soak the beans several hours or overnight as needed, covered in spring water with a 3-4 inch piece of kombu for every cup of dried beans. I usually wipe the kombu with a damp cloth and put it in the bottom of a bowl and put the washed beans on top then add the water. Use that same kombu in the bottom of your pot and put the beans on top and cover with fresh spring water. I don’t use the soaking water. Bring the water to a boil and simmer with a lid. DO NOT ADD SALT to the beans until they are at least 3/4 cooked. If you add salt in the beginning, the salt will keep the beans tough and they won’t be cooked enough. But adding sea salt toward the end of the cooking will soften the beans and help finish the cooking. You can encourage your beans (“Great job, beans! Keep going! You’re going to be delicious!”) to cook from the inside out so they fully cook inside and aren’t a mushy mess. Do this by just covering the beans with water and when the water cooks down, add cold water to drive the heat into the beans and continue cooking. You can do this a few times as more liquid is needed. This is called the shock method. As I said above, when the beans are mostly done, then add your sea salt. The kombu can be taken out or left in. It may break down quite a bit after all this cooking and you can just stir it in. Or you can take it out and cut it into pieces and add it back in. Kombu is oh so good for you with its vegetable-quality minerals and trace minerals! Add your veggies and whatever else you wish after the beans have gotten started, depending on what you’re making. FAQ: How effective is the Kombu Method compared to others in avoiding the dreaded death knell of dignity and lost social acceptance? Adding kombu. Very effective and natural. If you are transitioning to a more vegetable-based diet, you may still experience the occasional toot. Additional advice is don’t eat too many beans at once, chew your beans and all your food very thoroughly so digestion can begin where it’s supposed to—in your mouth—and don’t mix the beans with things like fruit, fruit juice, or sugar. Abstinence. Of course if you don’t eat beans ever, you will not get flatulence from them. But you will be missing out on a wonderful source of protein packed with energy and good nutrition. Bay Leaves. I have seen bay leaves used in beans and while they do help and are certainly flavorful, alas, bay leaves will not guarantee as much protection against flatulence. They just don’t have the necessary minerals. Canned. You still have to read the label. So many brands in my natural food store are cooked only with salt and only two, I found, are cooked with kombu—Eden Foods and Westbrae. So you might pick up a couple of these if you’re in a hurry. Pureeing. If the beans were not cooked with a balance of good minerals, you are not protected. Gas reducing products. There are products like Beano which is made from a fungus called Aspergillus niger. It apparently works for some people and does so by breaking complex sugars down into simple sugars. I’ve never resorted to Beano which is now made by pharmaceutical company GlaxoSmithKline, which is a complete turn-off for me. Also, when you buy a product like that, the cashier and everyone else will know why you are buying it and you could open the door to more giggling, chortling and downright embarrassment. Buying kombu is way more sophisticated and mature. I’m sure of that! 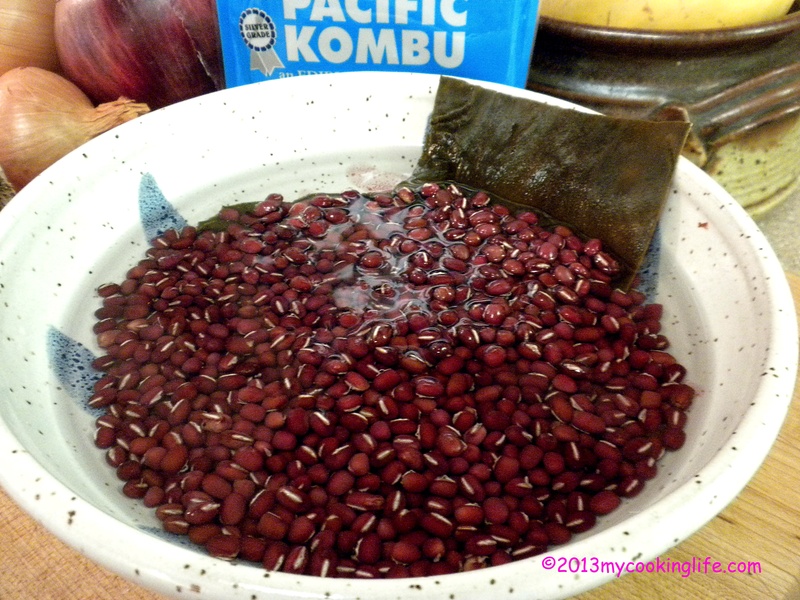 This entry was posted in Beans, Cooking, Nutrition and tagged avoid flatulence, beans, cooking beans, how to prevent gas from beans, kombu, methods of cooking beans, vegetable-quality minerals by mycookinglifebypatty. Bookmark the permalink. Thank you, Patty! Will look into that. Very funny and useful post my friend! Thanks Azita. I like to laugh! And make others laugh too! Great post! I really enjoyed reading it. Thanks! Of course none of these situations were (ahem) from personal experience. Laughed out loud imagining someone ;a distant friend of course,never me,I don’t fart,I am supernatural) buying beano at the pharmacy!Thanks for breaking the taboo of ‘beans and birds’! Thanks Charlotte! And no, I certainly know that neither you or I have EVER been in this situation. Another fabulous post! And great tips on how to cook legumes. Thanks! Wait til you see what I’m going to do with those aduki beans!